Likely by now you’ve heard all about IGA’s new “Local Equals Fresh” up-branding campaign. 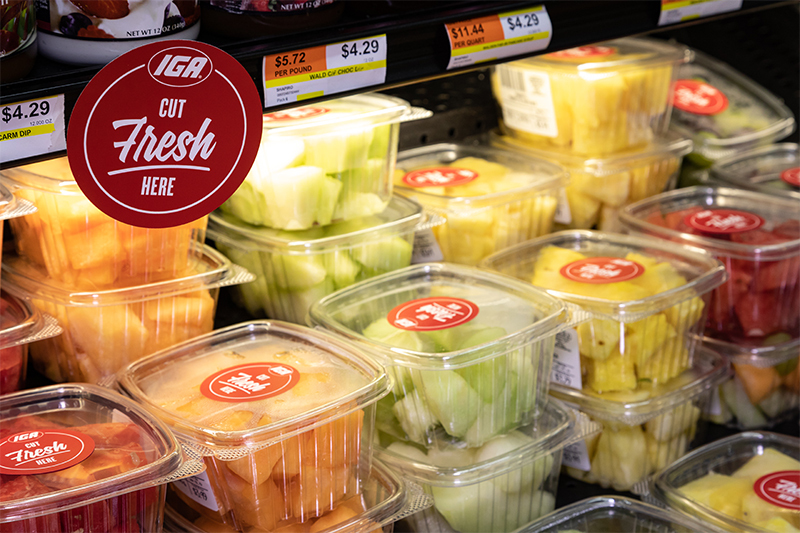 This new brand messaging will appear on everything IGA—including websites, social media, store ads, and even the updated IGA private label line. The in-store strategy was designed to take the shopper through a journey that emphasizes IGA’s promise to buy from local and regional family farms whenever possible. But what’s the best way to turn a slogan into reality? How do you move into action to take advantage of these new tools as a way to tell the unique stories that exist in each one of IGA’s 1,100+ stores? How do you even identify what it is that makes your store special? It’s often easy to overlook the things you are doing that embody local and fresh. 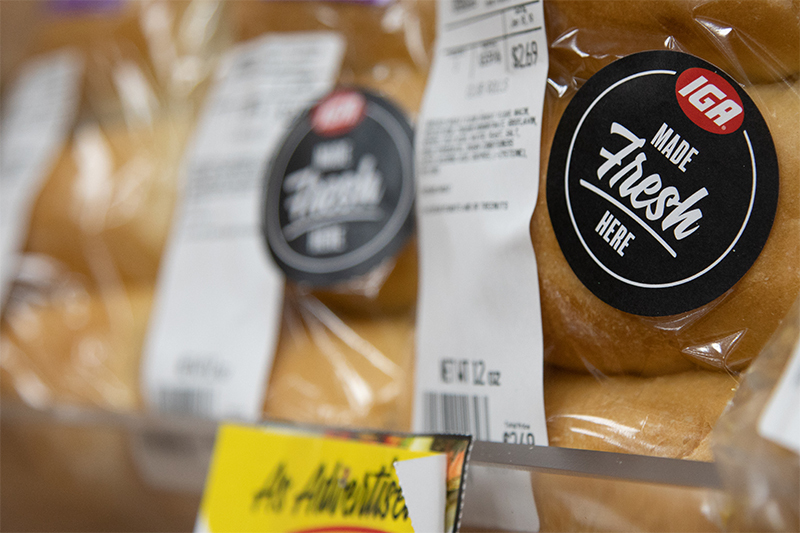 To help you get started, we’ve turned to one of the pilot stores that was given the opportunity to adopt this new concept in the weeks leading up to the Local Equals Fresh campaign rollout at the 2019 IGA Global Rally. Geissler’s is a fourth-generation family-run business with seven stores in Connecticut and Massachusetts. 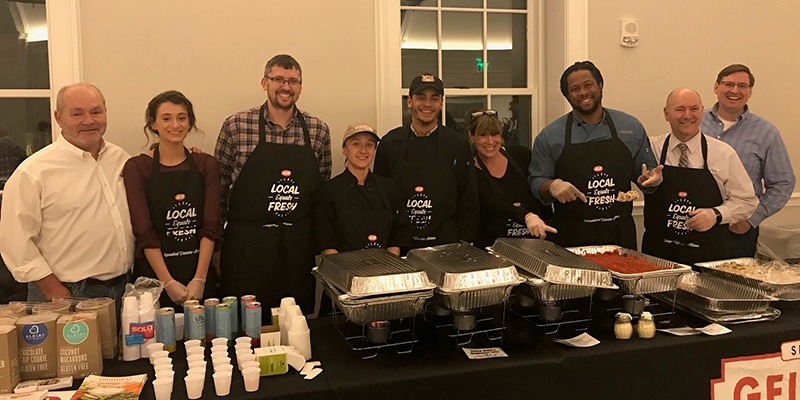 Their store in Somers was the subject of a video produced in partnership with Geissler’s distributor, Bozzuto’s, and IGA, along with the help of Porchlight, IGA’s partner in creation of the Local Equals Fresh design. 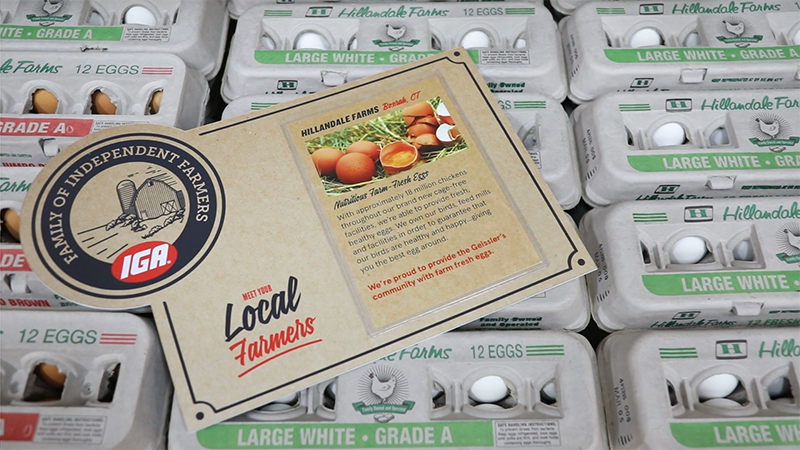 The finished product highlights the store and showcases some of the relationships Geissler’s has forged with local farmers and makers of value-added food products, such as applesauce from an area orchard and eggs from nearby Hillandale Farms. According to Geissler’s President Robert Rybick, the Local Equals Fresh concept was a perfect fit. “To be honest, I was thrilled with it. I knew we needed to tell the story better to our customers and I saw this as an opportunity to do that,” he said. Preparations for the video shoot meant transforming the store with Local Equals Fresh signage throughout (available to order here). New signs included a “first impression” entrance sign reinforced with additional branding elements that follow the shopper’s journey through each area of the store, with window, hanging, wayfinding, stanchion and department signs, product stickers, and even employee apparel. One of the biggest benefits of going through the pilot was the ability to take a hard look at existing signage and start clean with all new signs that work together in a cohesive way, said Rybick. They also put in new endcaps that allow them to showcase more local merchandise on the side wings. “Customers walk in and they know something’s changed but they can’t put their finger on it. All the feedback has been positive,” Rybick said. In addition to the big sign welcoming customers that puts the brand promise front and center, Rybick said shoppers have been responding positively to the little things, too. Stickers that identify what’s made in-house (baked fresh here, cut fresh here). “It’s helpful to call that out for customers,” he said. In the produce and dairy departments, magnetic signs that identify family farms. “Those dressed up the produce, and provide a nice break with a message. Plus, being magnetic they are easy to move around,” he said. Having the Local Equals Fresh branding in place has helped provide a framework that carries into Geissler’s live events, said Rybick. “We’re planning on doing more in-store demo activity, working with those local partners that we have,” he said, as well as new partnerships going forward. Geissler’s takes advantage to its ties to the community to identify new local partners. Director of Sales and Marketing Kevin Brouillard has many years of experience working in this arena, which helps, said Rybick. In addition, “it’s a matter of searching the market, farmers markets, etc. to find prospective partners. From there, it’s calling the vendor meeting and just simply laying out a mutually beneficial plan,” he said. Their newest collaboration coincides with the Local Equals Fresh rollout and came about in an organic way, said Rybick. “Chef Jay” Lewis, a locally known chef—and a regular customer—was in the store around the holidays buying meat and struck up a conversation. “He commented on the quality, saying he knew meat because he was a chef,” said Rybick. That initial chat developed into a further relationship, and at a recent Taste of Windsor (Connecticut) event, Geissler’s debuted “Baby J’s Potato Salad,” featuring “Errr-Thang Spice” a new dish developed in collaboration with Chef Jay. 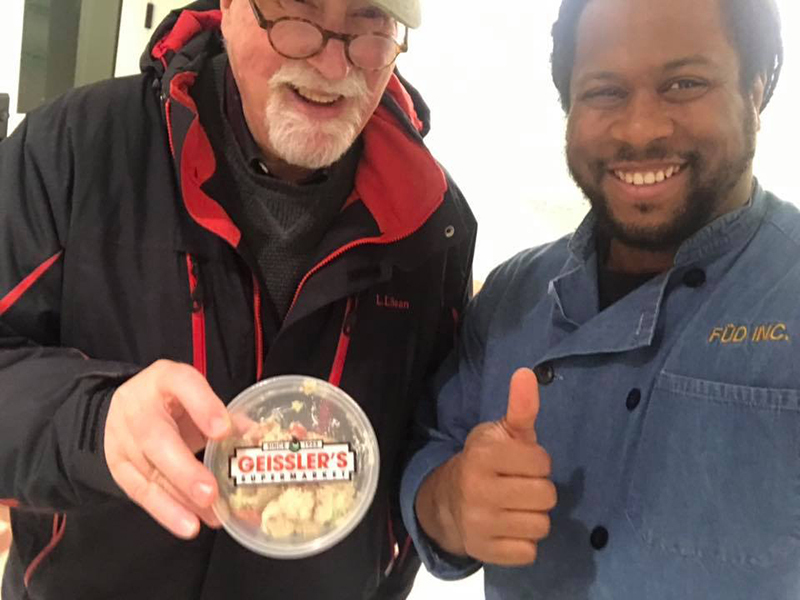 In addition to Geissler’s promotion on Facebook, Chef Jay has also posted about the potato salad, particularly one recent day when it sold out, which has been helping to get the word out about this new item now available in the deli. They are also working with Chef Jay on bringing a line of spice blends to market, which Geissler’s will carry in its stores starting around Easter. According to Rybick, working on actual product development has made this a particularly special relationship and one that fits perfectly with Local Equals Fresh. The Geissler’s team at the Taste of Windsor, where they showcased their prepared foods.